I'm a girl who needs to eat. I have blood sugar issues so I eat just about every 3 hours or six times a day. This means I am always in need of portable snack options for when I'm out and about. As I have so many allergies, I can't rely on finding food wherever I go - not too mention how expensive that would be - so I like to come up with delicious snack recipes that I can grab before rushing out the door. 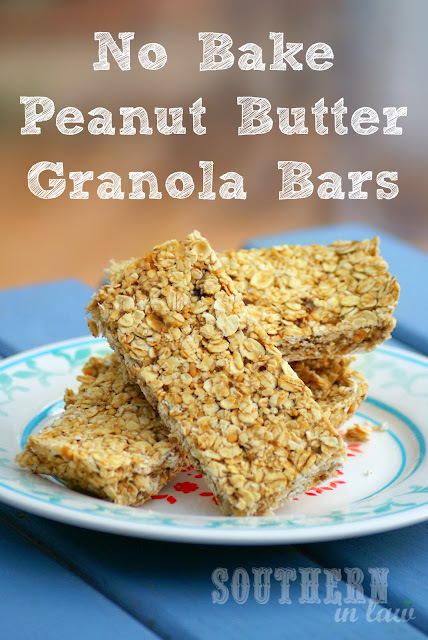 These no bake peanut butter banana granola bars are one of those snacks - and they're so easy to make! 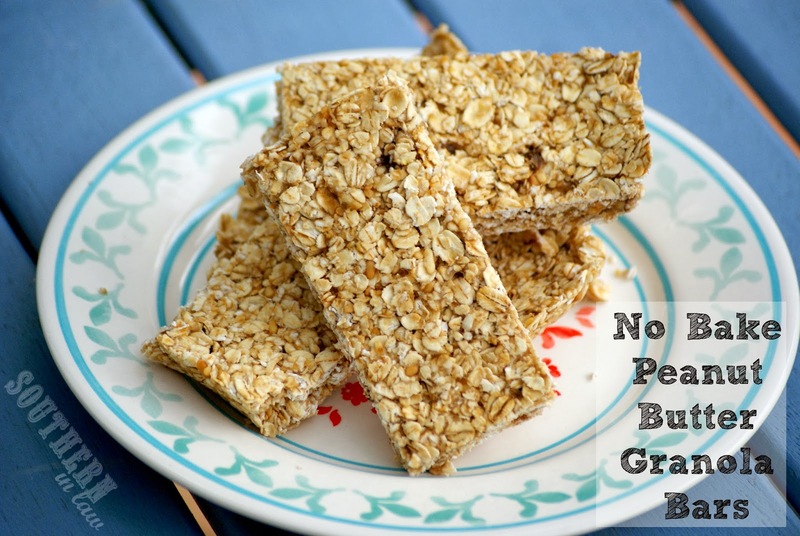 They're also much cheaper than store bought bars - and probably better for you too. They use just 5 ingredients and don't need baking, so you really can't get much simpler than that! Combine all of your ingredients in a mixing bowl, mixing until all of the oats are coated. Pour your mixture into the baking dish and use a spatula, spoon or your finger tips to evenly press the mixture into the tin. 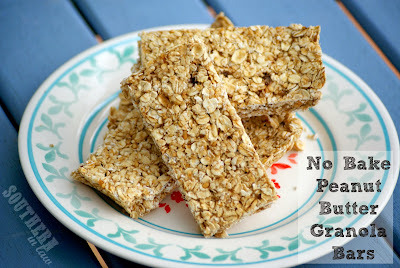 Refrigerate until form before cutting into bars. Store in the fridge for a few days, otherwise, we keep these in the freezer where they last for months! But tell me, what's your favourite portable snack right now? This week is a flurry of doctors appointments and errands for me, so I've been munching on these as well as our Raw Lamington Bites and Raw Peanut Butter Cookie Dough Bites.